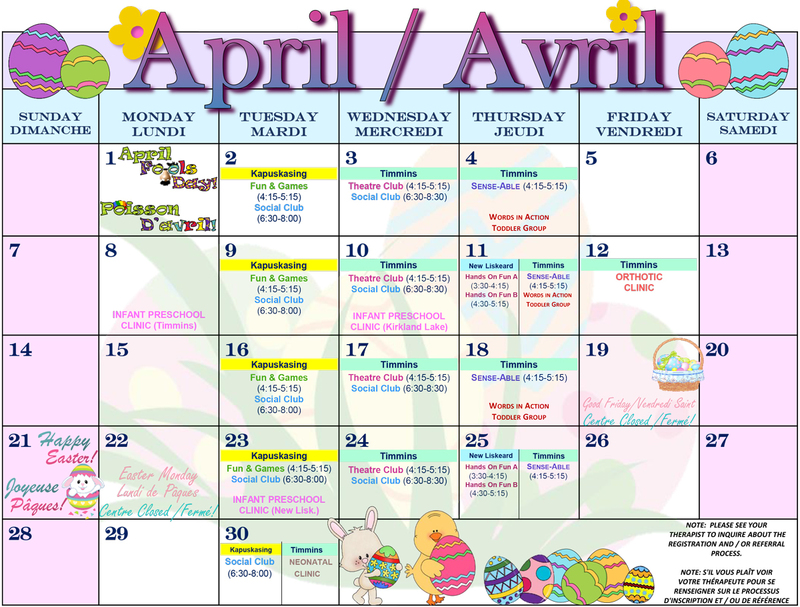 The Cochrane Temiskaming Children’s Treatment Centre was established in 1979 as a non-profit organization with charitable status and has grown from a starting staff of 3 to now 30 employees. Our vision is one where “children and youth of all abilities will access opportunities, develop their potential and participate in their community”. We provide a variety of services aimed at helping individuals develop effective communication skills. We facilitate the development of skills and independence and achievement of a productive and satisfying lifestyle such as the ability to play at home, in the community and participate in school. Helping children function independently with the least amount of assistance and participate as fully as possible in society. We facilitate the development of physical skills and motor development to help achieve a maximum level of functional independence, mobility and attainment of higher level gross motor skill. We provide clinical services on an individual, family, and group basis through a variety of services aimed at helping the individual and his/her family to cope and adjust to a new diagnosis and/or acquired trauma. We partner with others so individuals can be seen by a multidisciplinary team. 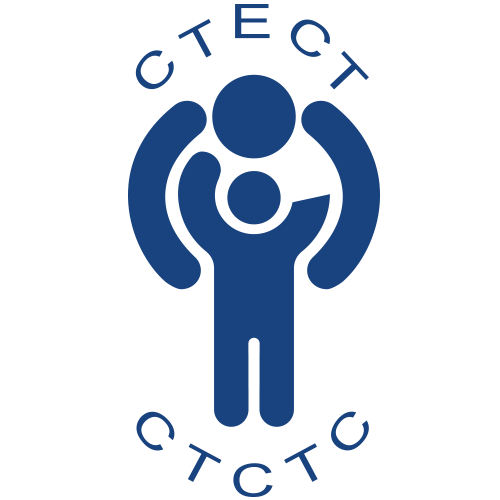 The Cochrane Temiskaming Children’s Treatment Centre is accepting applications for 1 (ONE) Permanent Full-Time Bilingual Speech-Language Pathologist and 2 (TWO) Permanent Full-Time PHYSIOTHERAPISTS. Need a referral? Download the form or complete it online. We are a proud member of the Ontario Association of Children’s Rehabilitation Services (OACRS). OACRS is a non-profit organization that represents all Children’s Treatment Centres across the province. To learn more about OACRS and other Children’s Treatment Centres, please visit www.oacrs.com. We are funded by the Ministry of Children and Youth Services (MCYS) and are excited to be part of the Ontario Special Needs Strategy. The vision of this transformative initiative is “an Ontario where children and youth with special needs get the timely and effective services they need to participate fully at home, at school, in the community, and as they prepare to achieve their goals for adulthood”. To learn more about MCYS and the Ontario Special Needs Strategy, please visit www.children.gov.on.ca. We are extremely appreciative of the generous support of the Kiwanis of Timmins over the years. They are the pillars that helped build the accessible playground that so many people in the community enjoy and use. 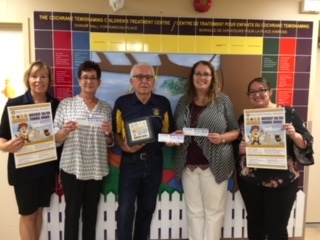 The Kiwanis Club of Timmins continue to support our programs by helping us purchase specialize equipment and by sponsoring the Kiwanis Kids in Motion social youth group. 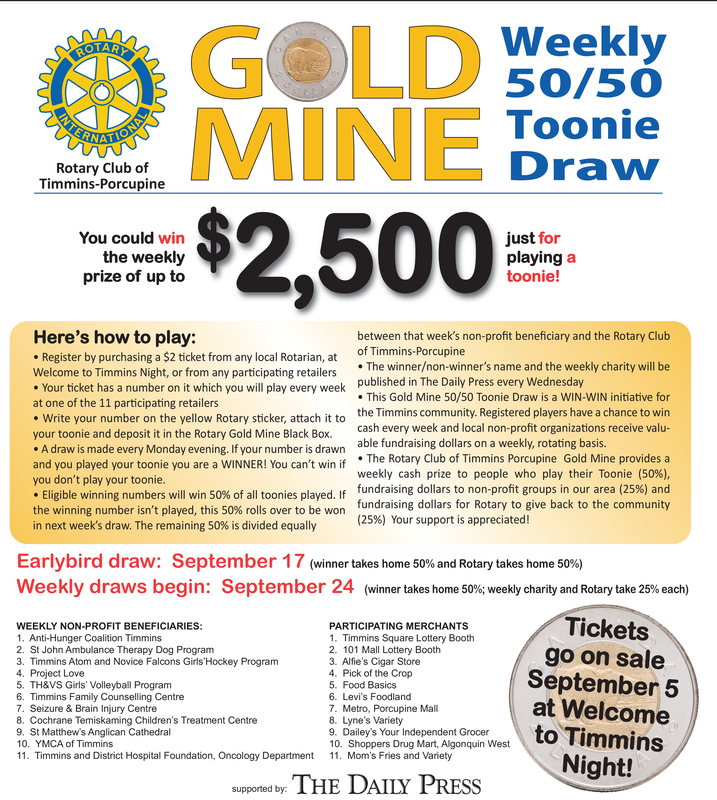 To learn more about Kiwanis Club of Timmins, please visit www.timminskiwanis.org. We are grateful recipients of a GoodLife Kids Foundation grant of $5,000. This one-time funding will be used for a Badminton and Bocce Ball Skill Development program that runs until December 14. To learn more about Good Life Kids Foundation, please visit www.goodlifekids.com.